The Ranch at Dove Tree is a dual diagnosis treatment center offering multiple levels of care to clients ages 18 and up. A dual diagnosis, also called a co-occurring disorder, is defined as a substance use issue combined with a behavioral health problem. According to national statistics, individuals who struggle with chemical dependencies, whether drugs or alcohol, are more than twice as likely to have mood or anxiety disorders as compared to the general population. 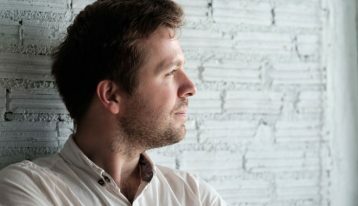 Research shows that relapse is much more likely when addiction therapy addresses the mental health problem separately, instead of simultaneously. At Dove Tree, we provide concurrent treatment of our client’s complex problems. Our co-occurring disorders treatment uses the most current best practices and evidence-based therapies. This allows us to better serve the dual diagnosis needs of each client we serve. Dove Tree’s dual diagnosis treatment center in Texas is highly respected for utilizing a 12-step recovery model combined with science-based holistic addiction treatment. Our innovative framework allows the client to work closely with their primary team to meet their personal treatment needs. With a dual diagnosis, improvement of each individual issue is not always uniform. Clients in our residential treatment center often experience this as they learn to understand underlying problem that may have led to, or were worsened by, chemical dependencies. A drug addiction treatment center must provide a flexible plan of care to help clients achieve optimal recovery, and not fall into a “one size fits all” approach. The Ranch at Dove Tree treatment team collaborates frequently, making appropriate adjustments to a client’s care plan, including dual diagnosis needs. At The Ranch at Dove Tree, clients who need co-occurring disorders treatment will have a strong multidisciplinary team on their side. We are nationally recognized for our innovative Collegiate Program, and highly respected for the quality of each of our alcohol and drug addiction treatment services. Because simultaneous addiction therapy is vital for both the substance use and any associated mental health issues, all levels of care have an integrated dual diagnosis treatment focus. Our emerging adult population receives additional age-appropriate approaches – an extra component that we feel is important. A combination of behavioral therapies, alongside medications and 12-step work, are used to effectively address co-occurring disorders. On admission to Dove Tree, each person is evaluated for dual diagnosis issues. Some clients with a substance use problem have never been formally diagnosed with anxiety or depression. Having these mental health issues treated is a critical part of long-term recovery. The Ranch at Dove Tree provides supplemental services to clients who come to us with a chemical dependency issue along with an eating disorder or disordered eating behaviors. There are times when the eating disorder is much more acute than the substance use problem. In these cases, a client will be referred to a specialized eating disorder treatment center. Safety of the client is our first and foremost concern. After stabilization and treatment for dangerous eating disorder symptoms, we are happy to provide dual diagnosis treatment at Dove Tree. At Dove Tree, we recognize the deep role trauma plays in ‘self-medicating’ with drugs or alcohol. We believe, and research supports, the fact that unresolved trauma fuels addictions and exacerbates emotional pain. Our specialized trauma resolution therapies support the overall recovery of our clients who have experienced deep suffering from past traumas. We’re happy to discuss how our dual diagnosis treatment center can help you. There is a reason why we are successful, and why our clients are satisfied with the quality and outcomes of their treatment. Please contact us to discuss your personal situation and discover how we can help.